For performing any seva or puja here, the pilgrims have to make advance TTD Darshan Online Booking. For the convenience of the devotees, TTD or Tirumala Tirupati Devasthanam, the managing committee of the temple has made elaborative arrangements to enable the devotees acquire TTD Darshan tickets. The Tirupati Balaji Temple located in the hill town of Tirumala in Andhra Pradesh, is the abode of Lord Venkateshwara, an incarnation of Lord Vishnu. It is believed to be one of the most revered temples in India. By means of estimation, every day almost one lakh devotees visit the temple. After the booking e-confirmation is generated at respective mail id of the pilgrims and reporting time details are mentioned on the TTD online darshan ticket. Only one seva is allowed for one registered person within 180 days of quota availability. To reduce the waiting time in long queues, the TTD Darshan online booking has also introduced tirupati temple e darshan booking facility for the devotees. The TTD e-darshan counters have been set-up in all the TTD Kalyanamandapams and Information Centres in almost all parts of Andhra Pradesh and in various other cities outside the state. By availing ttd darshan e booking service the pilgrims secure a darshan slot on line even before they actually reach the temple. They are permitted to enter the Vaikuntam Queue Complex, according to the time slot provided to them. The TTD darshan for senior citizens is arranged for the citizens (above 65 years) through a separate gate from Dakshina Mada Street. The pilgrims above this age are allowed to have darshan in two different slots at 10:00 am and 3.00 pm everyday on showing the age proof and original id-cards. No attendant is allowed with them. They have to report 2 hours before the respective time slot. Entry for them is free of cost. This facility of TTD special entry darshan can be availed only once in a period of 90 days. For all Devotees convenience and comfort, especially very senior citizens, physically challenged, they can watch Tirupati Live Darshan Online Now. For augmenting the devout vibes among the devotees, TTD has introduced Tirupati temple darshan rules. These include traditional dress code both for male and female devotees. *For men the dress code is dhoti or pyjamas with upper cloth. For women the preferred dress code is saree or half-saree with blouse or chudidar pyjama and upper cloth. Footwear in and around the temple premise are prohibited. The pilgrims are required to bath before they enter the sanctum shrine of Lord Sri Venkateswara Swamy. They have to observe absolute silence and wait for their turn for the darshan. Pilgrims are not allowed to exhibit any behaviour of violence or recklessness. Carrying weapons inside the temple is prohibited. *There are certain other general rules which the pilgrims are required to observe in order to maintain spirituality and peace inside the temple premise. 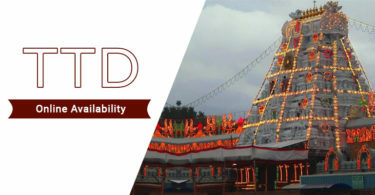 The official website of TTD provides complete information about tirupati temple darshan timings. Before making Tirupati Temple darshan booking online pilgrims can know about the timings of different sevas, the days on which the temple will be closed and the slot that has been allotted to them for darshan. In its endeavour to ensure well-organized communication with the large number of devotees who visit the temple every day, Tirumala Tirupati Devasthanam has initiated a ttd darshan helpline. In case the pilgrims find any lapses, doubts or malpractices, they can bring it to the notice of the temple authorities through tirupati temple contact numbers which include land line and toll free telephone facilities. Devotees are also provided round the clock information on the availability of darshan tickets, various sevas, and accommodation at Tirupati and Tirumala through this helpline. Now the pilgrim needs to give a list of people going along with her/him. S/he needs to mention their full details with documents. They can also use any of the listed document options such as PAN card, Aadhar card, Passport or Votor Id. • Login from the home page using the email ID and password. • Select various options like the number of people coming with you and additional laddus, if any. • Select the date. It will also show the available timeslot and the Tirupati Darshan ticket rates, with slots available. Click on the check box to select a slot and then click the Continue button for the next step. • Click on proceed to payment. The TTD Darshan online booking is using two banks in services i.e. Andhra Bank and ICICI Bank. If you do not have an account in either of these banks, don’t worry. They are just using payment gateways. Use Credit or Debit card or Netbanking of any bank and make payment. • You are redirected to the bank site with options. You see the confirmation page. Take a printout of it. • If you forget Tirupati Darshan tickets, login again and go to booking history and print it. This is how Darshan Booking helps devotees have Tirupati Balaji Darshan contentedly. On the annual festival, especially on ‘TTD Brahmotsavam’, when a huge crowd throng at this holy place then it becomes important for all of us to optimise the potential benefits of online services. So Darshan Booking offers you some tips to make your trip to Tirumala Venkateshwara easier. There is official website of TTD. 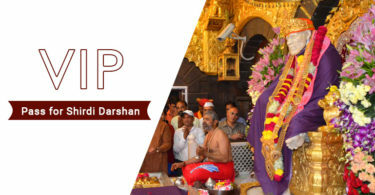 You can visit the portal and check out e-Darshan facility. For any purpose, from Srivari Arjitha Seva to TTD accommodation advance booking, the TTD Darshan registration is mandatory. The registered pilgrims are provided with username and password. And then they are able to take benefits of Tirupati balaji Darshan booking. Remember that only one Seva is allotted for one registered user. The devotee can use it within 180 days of quota availability. For that, register with TTD Seva Online. This is the official website of Tirumala Tirupati Devasthanams (TTD). There is a simple registration form. You need to fill out it. Upload a scanned copy of your Identity Proof i.e. PAN Card, Aadhar card, Voter ID or Passport. And then your registration is said to be called complete. Another TTD online Registration is there for Srivari SevaKulu. Its registration process is simple. Everyone can apply for Srivari Seva. S/he should be physically and mentally strong as they need to perform seva for long hours. Your age should be between 18yrs and 60yrs. A minimum of 6hrs that you need to give for Seva. The pilgrim needs to submit his/her physical fitness certificate from any medical practitioner or physician. If you have any query on TTD Online Registration, please leave your comment below, we will get back to you at the earliest. Please let us know how can we be of help. We have out lined steps to register online booking at TTD. Please let us know if you need any help in your planning or booking. Currently its not available, only chance of getting them is at the CRO office. You may call toll free number 1800-425-4141 to further enquire about this. Please help us to improve and let us know if you need to know any information to facilitate your darshanam. For convenience, please follow this link to register for online booking – TTD Registration. The cost of Swamy Kalyanotsavam Seva Ticket is Rs 1000 and only two persons are allowed per ticket. No tickets are available for the swami Kalyanotsavam Seva from 1st Oct to 10th October 2017. For booking confirmed tickets must book the tickets before 3 to 4 months in advance. Also you can watch live darshan of TTD Kalyanotsavam Seva in SVBC channel during the seva time. My daughter stays at Aberdeen, Scotland(U.K.).They want to book for Darshan.Her family consists of her mother in law, husband( Indian Iyengar) and two male children aged 9 years and 2 years( Born in Aberdeen) Only my daughter and her mother in law are having the AADHAR CARDS issued from Mumbai and Chennai respectively.Others are having only their British Passports and do not have AADHAR CARDS. Please confirm whether the above requirement would suffice to book for Darshams? AADHAR CARDS OR BRITISH PASSPORTS ARE ACCEPTED AS PERSONAL IDs? It will work for family members that have Aadhar card and for NRIs, passport is good enough. Hope this helps, do let us know if you need any info or need to check availability too. I book my friends MR Sunil jagadale online durshan ticket yestarday through your site and pay Rs.2350/-by netbanking HDFC bank Ref. No. 172685151405 but still he can not get durshan ticket through SMS or Email.Pl tale me what to do for get durshan ticket. We understand your concern, did you get final confirmation page while booking with TTD. If not then please contact the help centre immediately on 1800 425 333 333 or 1800 425 414141. or email helpdesk@tirumala.org. Some time browser settings are not compatible, please change the browser and carefully try and enter details as desired to continue. If issue persist then check each field once again and let us know. If one person like to have Darshan of Sri Venkateswara swamy at TTD how to get/book accommodation and book online ticket for Darshan, accommodation sir? All the vip tickets for darshan had been already exhausted for dated 22 oct 2017. You can choose any other date for vip darshan sir. Do let us know if this help. You can check & book the VIP darshan tickets from 30th october. All the special entry darshan tickets for the date 30th oct 2017 are full. Madam you can select any other date after 30th oct and book online from TTD Seva Online official website. Sir this errors persists sometimes due to website server load or heady traffic to website. Now check you can able to book ttd on line registration form. Is it transferent or not? Sorry sir it is not transferable. Sir way back I,Pradip Kumar Saha, resident of 33 New Baradwari, Sakchi, Jamshedpur, Jharkhand, having email ID sahapradip3@gmail.com, contact No.9234554221 had registered my self with TTD. Now when I go to the site in online registration and try to sign in I am unable to do so. Please guide me how to proceed. If I make a fresh registration with my email sahapradip3@gmail.com, I get the feed back that this email is already registered. Please click on the link mentioned – TTD Forgot Password. This link is used to re issue the password. Hope this helps and do let us know if you need any help. You can book TTD Darshan Tickets from TTD official website for 1/4/18 at 1pm. Still TTD Darshan booking tickets are available for the date specified. In case need any help let me know. I am Sharda Honaver, I booked 2 darshan tickets for Sharda Honaver and Nirmala Mirajkar for Tirumala darshan time 12pm on 24th August 2018 through TTD app online booking. The booking was done on 18th May 2018. After the online payment step I received an error which gave some reasons why the error occurred. Also it said if the amount is debited from bank account the tickets would be sent till next working day. However the same is still not received. Request you to send me the tickets on my registered email address sharda.honaver@gmail.com as the amount Rs. 600 is debited from axis bank account # A/c No: 913010051602602, on 18th May @22hours with the code as 180518 with the entry as ecom/pur/ttdsevaonline/mumbai. Kindly send me the darshan tickets at the earliest. Thank you for help in advance. Date of birth wrong deeded.How to correct?